Starting at just $24.99 a month, get all of the special effects makeup you could ever dream of, delivered to your door monthly. Save it for yourself, share it with your friends, or give an awesome gift to a loved one! Subscribing after the 17th of the current month will result in getting the next months box. All boxes will ship between the 15th and 25th of each month! Have you ever seen a snake do the Harlem Shake? Our workshop minions are up to something sneaky, and this month's theme has "memes' painted all over it. Our July subscribers will enjoy serpent themed stencils, paints, and other goodies just in time for the summer convention season! Renewal and New Subscriptions are scheduled to ship between 15th and 25th of July. Premium and single purchase products are available too! Visit The Shop for details! Choose the crate that best fits your needs. We have several plans: Bronze, Silver, Gold, or Platinum, in order to fit any budget. Our products are sourced from major brand names, to the best Indi-Companies on the market. We also do our best to test each item to ensure you get the most out of every month's box! Each box contains all you need to unleash your inner demons, and we'll provide you with the educational videos for maximum effect! Do you know someone who wants exciting new FX supplies each month? FX Crate is suitable for seasoned veterans of the trade and your casual hobbyist. This means that your loved one/best friend/makeup partner can discover amazing surprises every month, without breaking your bank account! Every purchase of our Beta Crate will be considered for a reward in the future as a thank you for helping us grow. 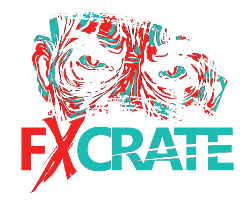 FX Crate is a subscription box that has everything you need to become an amazing special effects makeup artist. We send makeup supplies, tools, and even a tutorial on how to use these items. Some months you will be able create everything from wounds to scars, while other months you will be creating entire characters or monsters. This year we will have stand alone crates as well as our subscription, but starting in 2017 we will introduce a tier system for our monthly subscription crate. Well what are you waiting for? Sign up today and let’s start creating together! Unlimited possibilities! You are the artist, be creative, and put your own spin on each month’s makeup. How frequently will I be billed for a subscription? We offer monthly, bi-monthly, quarterly, and yearly plans. We typically ship between the 25th -31st of every month, and it will take 3-7 days not considering courier service error. we typically ship between the 25th -31st of every month, and it will take 15 or more days not considering courier service errors. Can I donate the special effects items I make to be put in a crate? What kinds of products will be in the crates? There will be a wide variety in our crates, but we try to include prosthetics, brushes, makeup, sponges, etc. Everything you will need to make a great piece of work. What is different between each subscription tier? There will be 4 subscription levels: beginner, intermediate, advanced, and professional. Beginner will have 3-4 products and tutorial, and is focused on single special effects techniques, and the higher tiers will include more full character makeups, and will have more product in each crate. Quality between box levels will never suffer. Of course! we have a gift option at checkout as well as our home page. Got a question for us? Fill out the form below and someone will be in touch as soon as possible!